Home / Manic Mondays! • Pretty In Pinky / Manic Monday! Pinky is Too Close For Comfort After meeting the cast! Lydia Cornell! Nancy Dussault! Jim J. Bullock! Deborah Van Valkenburgh! and More! Manic Monday! Pinky is Too Close For Comfort After meeting the cast! Lydia Cornell! Nancy Dussault! Jim J. Bullock! Deborah Van Valkenburgh! and More! I can remember watching Too Close For Comfort in syndication when I was like four apples high. It was on all the time in our household and I thought it was super funny. They don’t make comedies like this anymore that’s for sure! 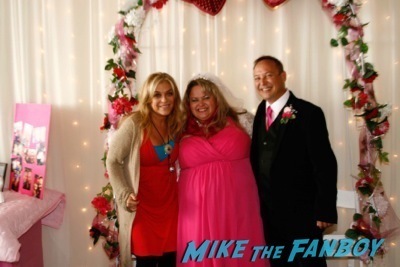 Check out Pink’s recap with wedding memories and meeting the cast! Hello, my lovelies. 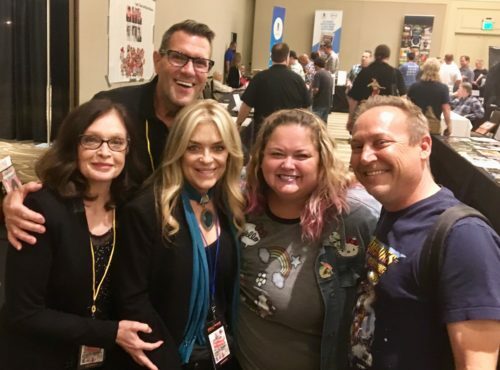 Pinky Lovejoy-Coogan here excited to have been able to get a picture with all three of the cast members from Too Close For Comfort at the most recent Hollywood Show. Growing up, this was one of the shows I really enjoyed watching at night with my parents. It cracked me up! 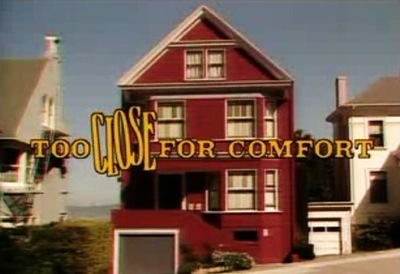 For those who never saw it, it was about the Rush family who lived in a duplex – the parents on one side and the grown daughters on the other side (who then end up renting an apartment downstairs from their parents). Of course hijinks would always ensue with everyone living so close together! Lydia Cornell is a good friend of ours who came to our wedding. 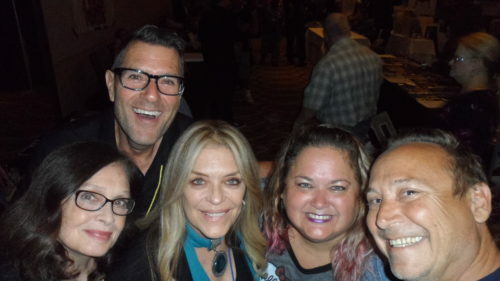 It was so fun to get to see her recently along with her cast members Jim J. Bullock and Deborah Van Valkenburgh. We were thrilled with the pictures! 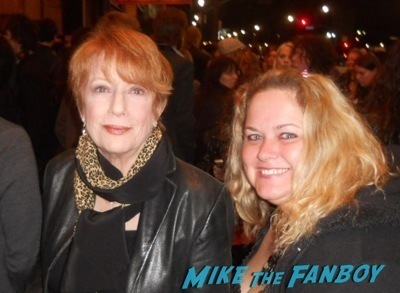 Years ago I was also able to meet the mom from the show, played by Nancy Dussault. Unfortunately Ted Knight passed away long ago, but I’ll never forget how funny he was in everything that he did. It’s Rex Manning Manic Monday! 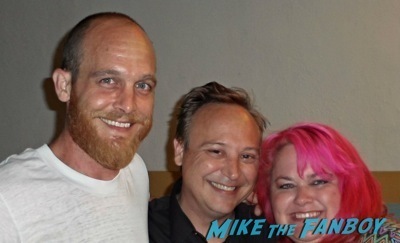 When Pinky Meets Empire Records Star Ethan Embry! Pretty In Pinky! Getting Dissed By Gary Oldman and Showing Huey Lewis The Power Of Fangirl Love! Manic Monday! Pinky Is A Scaredy-cat After Meeting Poltergeist Star JoBeth Williams! Horror-ific Goodness! Pretty In Pinky: Don’t We All Wish We Had Jessie’s Girl? Pinky Shares Her Love Of Mr. Rick Springfield!